Taste test: These were very good wide-rippled potato chips. 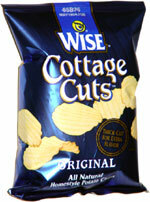 They reminded me a lot of Wise's excellent Cottage Fries, and these might even be the same thing with a new package and name. 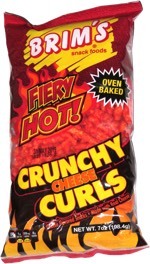 A majority of the chips looked like they were burnt on one or more edges, but that's typical for Wise chips, and it didn't seem to affect the taste.